Do you have an EPIC Dad? I know I do. Today is his 60th birthday, and to celebrate I wanted to share with you some awesome 60th birthday Dad gift ideas! Try Ziplining, Skydiving, or Bungee Jumping! It's worth the $ you'll shell out because it's totally unforgettable. Here's a video of my Dad and I last week doing the Skyrider, North America's largest, fastest, and longest Zipline. It was the perfect Father - Daughter adventure! Looking for something frame-worthy that will leave a big impact? This company sells real estate on Mars! Yes, you can actually name a crater after your Dad! For my Father-in-Law's big 6-0, my Mother-in-law organized a big bash in Las Vegas, and family traveled from miles around to sip champagne from one of the nicest hotel suites with a view of the Las Vegas strip. Try contacting a hotel with a view and see what they offer! There are so many things you can do for a great Dad, but the most important thing is to be in the moment and make sure you make him feel like the superhero he is! Don't Let Oil City Slip off Your Radar! As someone who owns her own online business, I can work from anywhere, and I love exploring pockets of America that are oogle-worthy! Right now I'm spending some time in Oil City, P.A. - one of the last places you'd think to vacation, but always at the top of my list. Not just because of the vibe and scenery, but there's a precious lady here named Grandma who I love to visit. 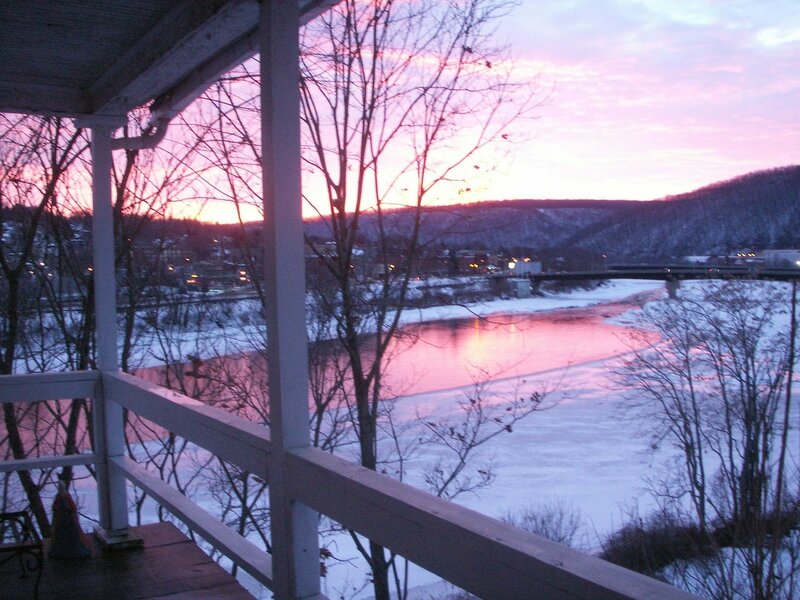 Stay at the quirky and fascinating Deep River Guest House, an AirB&B run by artist Margaret Brostrom. She will introduce you to the creative side of Oil City! The Artist Relocation Program is helping artists like herself relocate and purchase some of these beautiful Victorian homes around every corner - boosting the economy and ensuring Oil City stays grand despite its aging population. She knows about all the festivals, art shows, and cool places to visit. Get $25 off your stay with Margaret (or any AirBnB) through this link! Let her know you're interested in relocating to Oil City through the Artist Relocation Program and she'll give you an extra 10% off too. Between art openings, explore the Latonia Theatre and then go for a walk, enjoying mansion after mansion - all historic grand dames of the oil boom. Buy one for cheap and stay awhile! 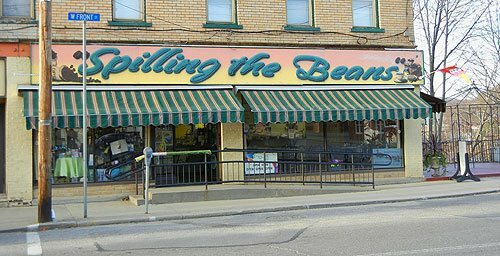 Get a cup of coffee at Spilling the Beans, where you'll get free wifi. It's also nice on a break to stroll over to the library and take a look around the memorial byway. In Spilling the Beans, I have found an oasis. I like to come here when I visit Grandma, and am never disappointed. I enjoy a delicious Chai Latte made right, and my husband orders a Vanilla Latte that's too good to share with me. Great biscotti too! Small on the inside with a little shop with neat little do-dads, like crocheted espresso shotglass warmers. I eat at my Grandma's, but beyond Spilling the Beans I've also loved Mosaic Cafe which recently closed. I'm looking for new places, so if you know of anything special please leave me a comment! I hope you'll take some time out to explore Oil City. It's a great stop on your way to Buffalo, NY or Boston. If you decide to go, please send me a note and say hi to Margaret for me! Will You Take the Next Wave? When something bad happens to us, there's a tendency to want to shrink back and tend to our wounds. We can get angry or down on ourselves and stay small. On the flip side, if we have a big ego, we can try to play things off and get stuck in a victim mindset. And then we puff ourselves up, trying to cover up our hurt and not allowing ourselves to learn, grow, and change from negative events. Some people don't care a philipp about other people. (see what I did there? hehe) I think if you're reading this, you probably sincerely seek to serve and love people better and better every day. So as we're building that business, going for that goal, or getting that degree, our primary goal should be how to be of greater service to others. What if you took the single worst thing that ever happened to you, faced it, and poured faith, love, and grace all over it? Would it come out looking like a day of service, or even... a non-profit? Be bold enough to let God turn your biggest weakness into an incredible strength in Him. The first wave may bring devastation, but your next move is always up to you. Will you take the next wave? I hope you'll turn your next wave into a testimony of triumph. If you liked this post, please leave me a comment. I'd love to hear your thoughts and learn more about what you're working towards, and how you're letting Bethany's story motivate you! You also might be interested in the Ambitious Christian Women group that's forming on Facebook. We are a small but mighty tribe of women encouraging each other to serve God with everything we've got. 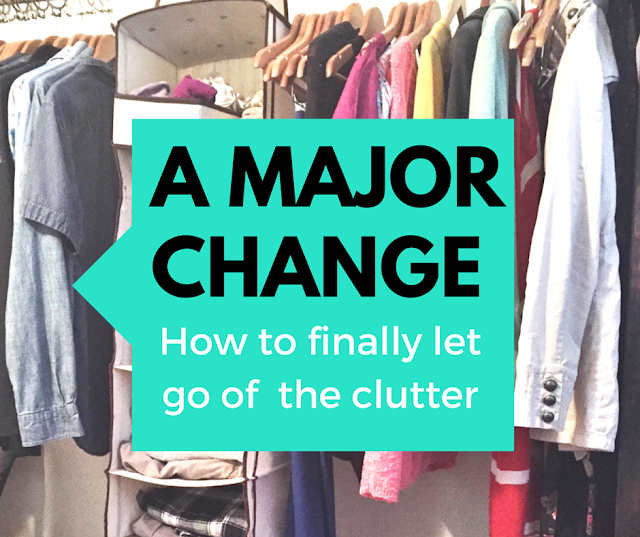 Summer technically doesn't start until June 20th, and that means there is still time for... Spring cleaning. No excuses! You heard me! I recently did a MAJOR simplification of my life and a foray into minimalism, using a process I learned in a book that I'm looking forward to sharing with you. I love this teaching because it focuses on your attitude, and attitude is EVERYTHING. Just this morning, I reached for a new favorite business book called Double Double. Typically, it's the Bible I'd be reading first thing. But for the past few days, I've been looking for solid business advice, and this book was recommended by a friend... and I was eating it up. In fact, I hate to admit this, for a week or so there it was replacing my Bible diet. Something was different this morning. I felt a wave of conviction come over me as I went for the Double Double book, while the Bible sat right beside me, looking up at me with its big brown binding.